The Moore & Bode Candela is striking first and foremost because of its bright green candela wrapper. The wrapper itself is quite beautiful, with a few significant veins, light oil, and a velvety feel on the fingers. The black and white band, though a bit blurry, complements the green candela wrapper well. The cigar is very soft when squeezed, and its consistent down the length of the cigar. The foot gives off extremely unique aromas, dominated by a strong herb note. On top of that are bright touches of white pepper and garlic. The pre light draw is about a 6/10 in terms of the amount of restrictiveness. It’s very clean, with the slightest touches of grass and sweetness. The Moore & Bode Candela kicks off with mild bodied, smooth smoke (and great smoke production). The finish is extremely clean, and the smoke is highly aromatic. Initial flavors include oak, sweet spices, herbs, and cream. The retrohale is pleasant, with touches of white pepper and sweetness. By an inch in, the burn is almost completely straight and the mostly white ash is still holding on. My only complaint at this point is that it seems that the cigar has trouble staying lit past about a minute or so. Heading into the second third, the flavor and body builds from mild to about halfway to medium, though the texture remains very fine. No change in flavors, save a bit of cinnamon entering the aroma. The cigar continues to have a tough time staying lit, but never goes out completely. In the final third, herbs and grass notes become prominent in the overall profile, along with leather and a stronger spice on the retrohale. The oak which had rounded off the flavors in the first half of the cigar is much less significant than before. 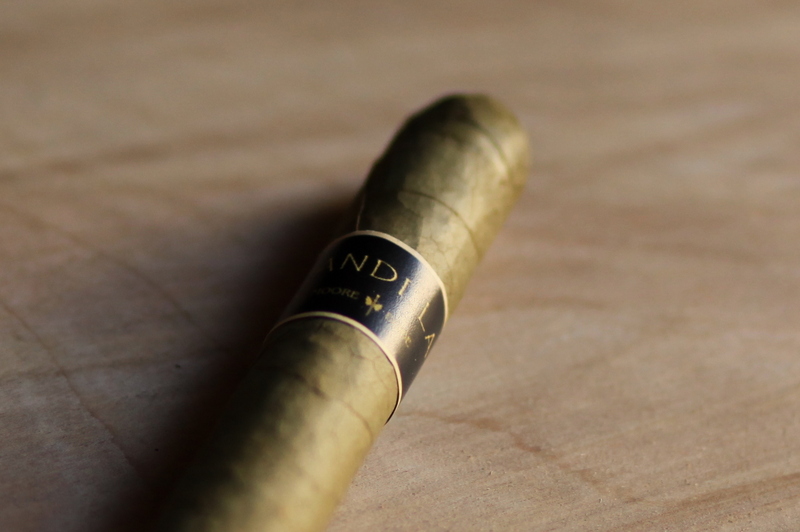 The Candela from Moore & Bode delivers a pretty awesome smoking experience. Mild but robust, clean but flavorful. 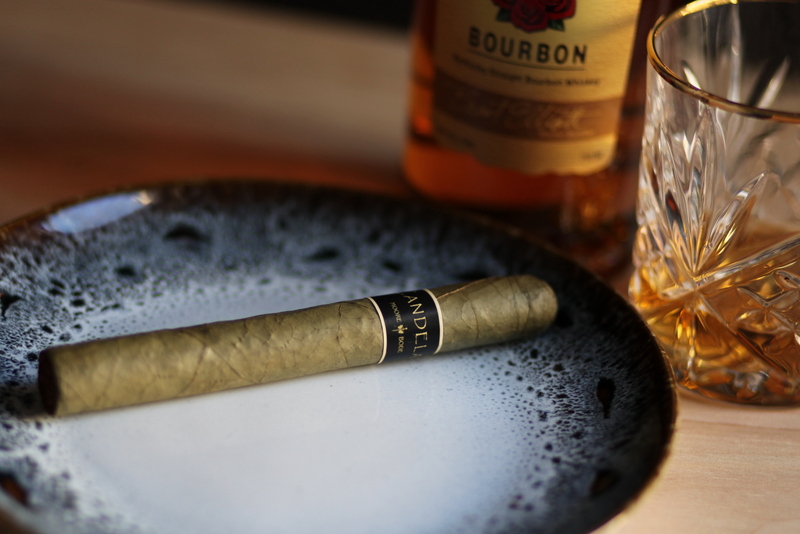 Most importantly, the cigar introduces flavors that consistently complement each other well. This cigar is not easy to find. If you are interested in purchasing Roy & Bode Cigars, contact their team via their website. Disclaimer: this cigar was gifted for review by Rob Moore of Moore & Bode cigars. Fine Tobacco NYC retained all editorial rights in writing this review.